Pink Thing of The Day: Giant Pink Slug! 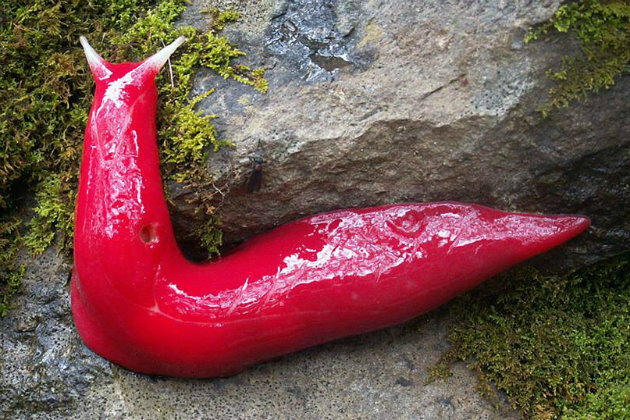 Yes, it exists; an eight-inch long, flourescent Pink Slug! These eye-catching creatures have been spotted only on Mount Kaputar, a 5,000-foot peak in the Nandewar Range in northern New South Wales, Australia. Read more about how they probably got there at This Link! Thanks to both Michelle and Zombo for the Tip! ← Carol Lay Kickstarter Campaign: Murderville Comic Book! Does this mean I’m published?